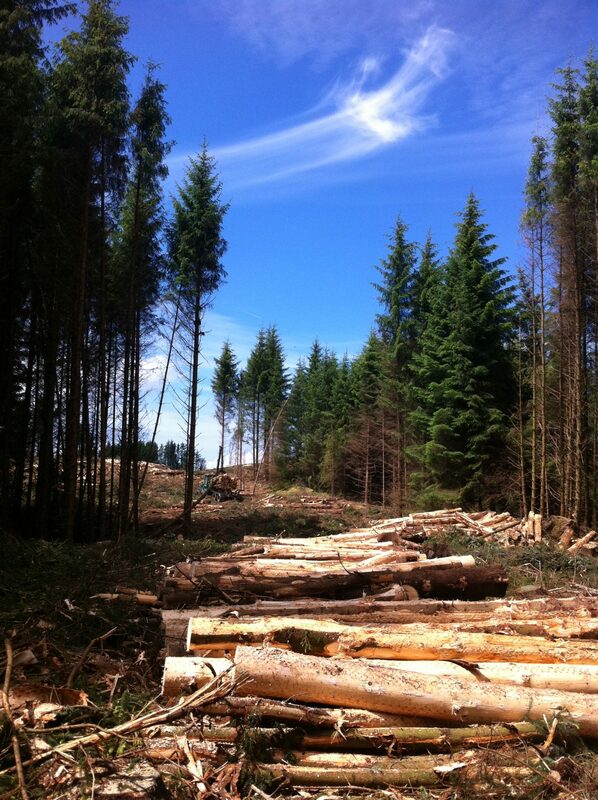 Planting, growing, protecting, managing and harvesting; forestry is at the heart of what we do. Ireland's forest industry will double in size over the next 10 years and Coillte will be at the core with an innovative supply chain and a consistent reinvestment in the next generation of forests . Our vision is to become the leader of a fast growing Irish forestry sector where technology, people and sustainability is at our core. 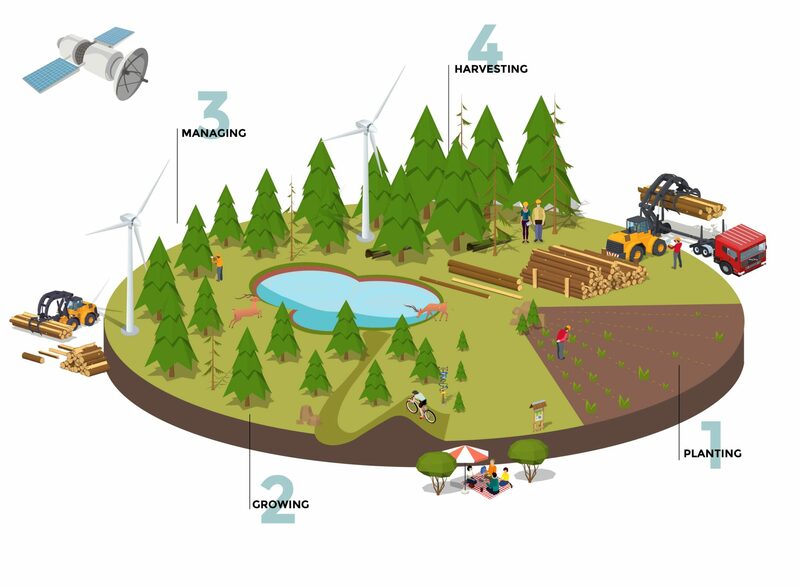 We grow our forests sustainably to produce quality wood and wood products but there’s so much more going on in our forests! Forests provide many benefits and products for society and our managers balance all these needs carefully to get the very best from our forests. We have an open forest policy and welcome an estimated 18 million visits to our forests every year. Our forests and forest products are playing an increasingly important role in mitigating the effects of climate change. The forest sector is growing in Ireland, providing around 12,000 jobs today, mostly in rural Ireland. Over the next 7 years, our own volumes will increase by 20% and our underlying return will grow to 3.5%. Together with our customers, we aim to get maximum value from our timber which will continue to be sold in over 30 countries worldwide. We are building our business today on the forests established by past generations of foresters who grew forest cover in Ireland from 1% in 1900 to 11.5% today. As those forests now mature, we use cutting edge technology in our supply chain and partner with other growers to provide our customers more certainty of supply, which in turn, will enable them to grow their businesses in export markets. We are committed to managing that growth sustainably and responsibly while delivering sizeable returns for the Irish public. Our forest management practices are independently certified by FSC®1 (Forest Stewardship Council®) and PEFC™2 (Programme for the Endorsement of Forest Certification). Come and join us for a unique, exhilarating and fun-filled day out at one of our spectacular 260 recreation sites around Ireland. There is so much to do - walking, cycling, orienteering, camping, ziplining nature watching, fishing, orienteering, horse-riding, boating and much, much more. Get in touch with nature and pitch your tent for a cool camping adventure at one of our seven designated camp sites in Ireland. On your bike and get into gear for a memorable experience at one of our 13 dedicated cycling sites around Ireland. 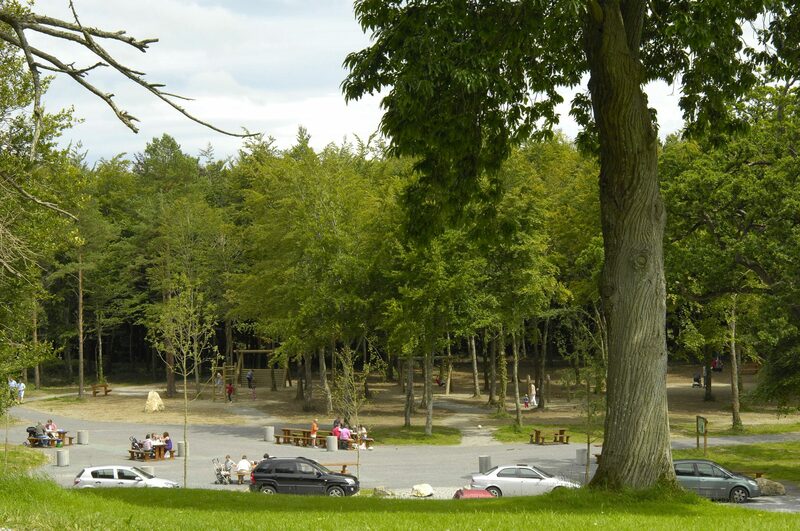 Make tasty sambos, fill the flask and set the sat nav for one of our perfect picnic and play spots tucked away in spectacular parts of Ireland.